During the month of August, seminars will take place on Saturdays. 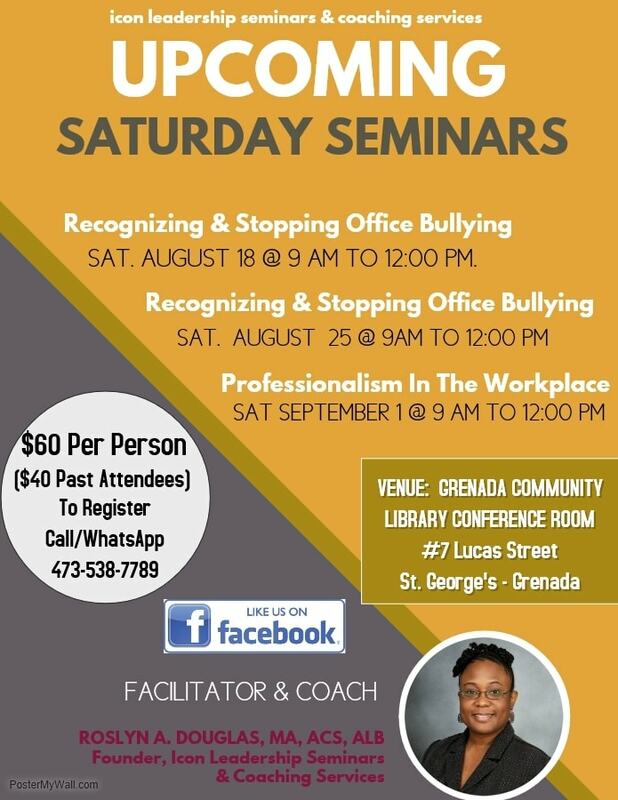 The featured seminars are, “Recognizing & Stopping Office Bullying” and “Professionalism In The Workplace”. Past Icon Seminar Attendees qualify for a special rate. Discounts available for government support staff, members of the Royal Grenada Police Force, and medical community.